What will you do when Disaster or Ransomware strikes? Small business owners know the importance of protecting their business data. What many don't realise is that whilst the chances of a major disaster are remote, the majority of data loss is the result of smaller localised problems. Could your business stand a major equipment failure caused by a tree falling through the roof, a lightning strike, or even theft? Could your business survive a Ransomware attack where all your data files are encrypted and totally unusable until you either pay the ransom or recover from your latest backup. At CT Business Solutions we have seen many such data losses over the past 19 years. The more tragic losses are where there is no recent backup to recover from. Every business has different requirements for its backup. 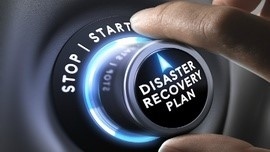 As a general rule, your requirements for the speed of recovery, and the volume of your data determines the cost of providing the backup and disaster recovery solution tailored for your business. 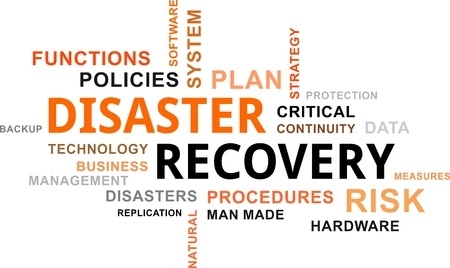 CT Business Solutions provide industry-leading backup and disaster recovery plans customised for your business. Ideally, your backup plan will include a combination of on-site and cloud backup. Talk to us to make sure your business thrives no matter what comes your way. Let us protect your company against the disasters that can literally put you out of business. For peace of mind, your business must have a proper business grade data backup and recovery plan. Don't be a statistic - Denial is not a river in Egypt. Click here to view more information about storing and protecting data, from the NZ Government's Business Website. Currently this is covered by the Privacy Act. There is a bill coming before parliament soon to add more strength to this law.